This is my entry to Stale Gum's National Chicle parody contest. 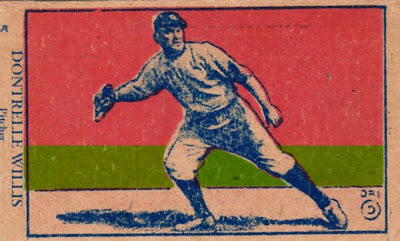 I started with a W516 #5 Ty Cobb, changed the name to another (in)famous Tiger, and tinted in some outfield grass. Play ball! Thanks! They are truly a pair of...characters.